The following are authentic, untouched photos that show actual results you can see. Carly saved my skin after 30 years of frustrating and unpredictable acne, rampant misinformation from media to doctors, and being so disheartened by all methods, medications and products that I almost did Acutane. THANK GOD she snagged me right before I did that. I started seeing visible changes in tone and clarity in the first month of peels and individualized product use. I’m now 3 years into working with Carly, and my skin feels and looks so good. She’s taught me so much about the hows and whys of acne and how to take care of my system as a whole to help manage my acne. She’s professional, honest, thorough and SO damn good at what she does. There’s no one else in Austin doing what she does. I’m forever grateful to her for changing my skin and plan on keeping her forever! 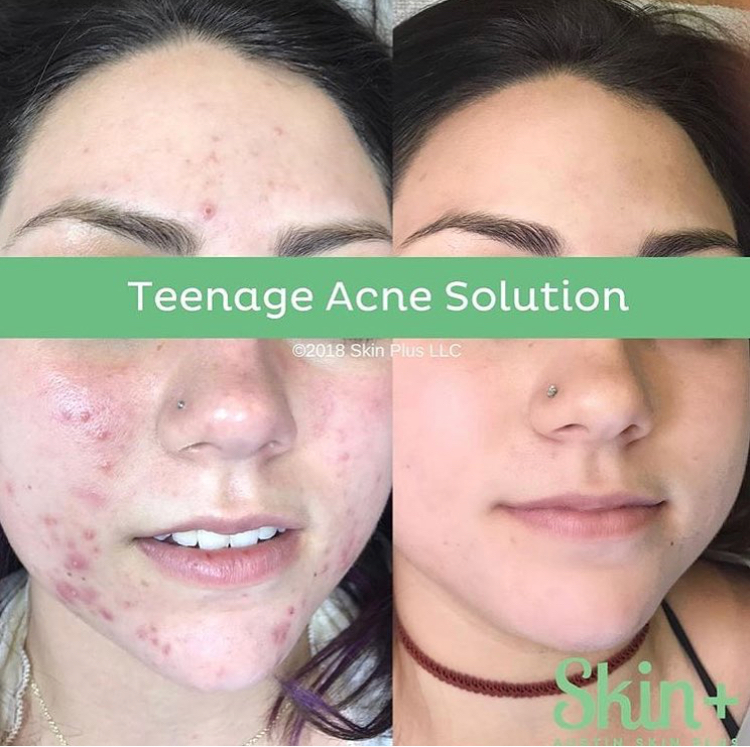 If you or your teenage child struggle with acne, don’t waste your time or money on ANYTHING else and call Carly right now. I promise, she’ll change your life. I can not say enough about the quality of Carly’s work. I love her products and they have really worked miracles with my 45-year-old skin. No more acne…my skin looks younger, firmer and more glowing! I love her peels…she does a great job getting the dead skin off but I can go to work the next day! I also appreciated her excellent communication, so I could set up appointments and move them if I had to, with minimal hassle. I’m just going to come right out and say it – Carly is a genius. 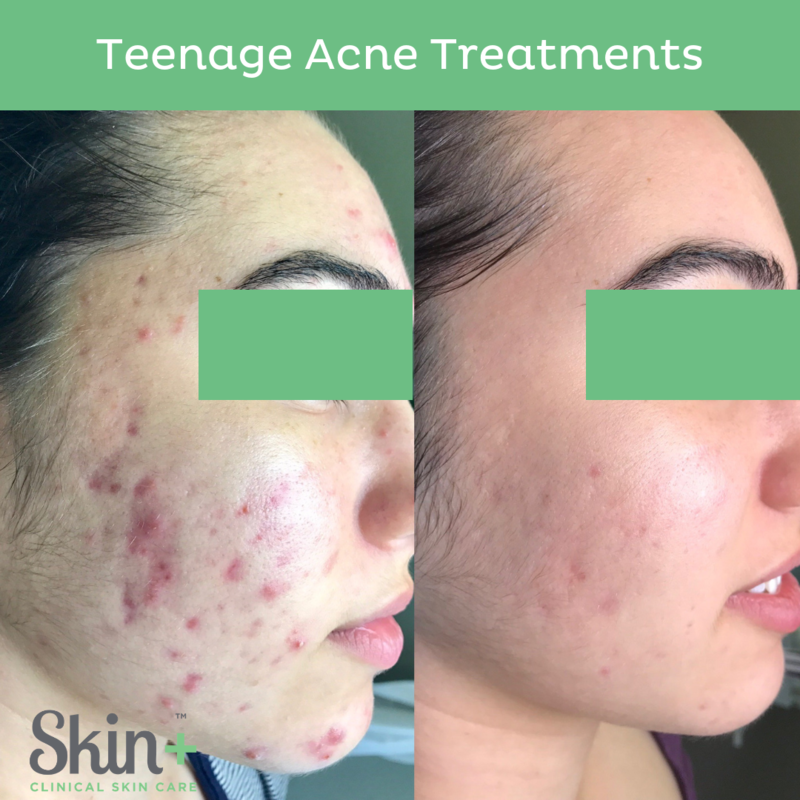 I struggled with acne for most of my adult life, a good portion of the time refusing to believe my condition was actually as bad as it was. I was constantly covering large cystic acne flares with mounds of makeup and always worrying if people were noticing – many times with tears in my eyes. I tried a number of solutions in the past, none of which helped and some which even hindered. It wasn’t until I met Carly that I felt someone was truly invested in making my skin (& my negative emotions surrounding my skin) clear! Not the multiple dermatologists, not my pyramid scheme product selling friends (sorry guys! ), not my local “all natural” grocery store aisle, but Carly. At my first appointment, she explained SO many things – what acne actually is, why it’s worse for me than other lucky non-acne folks, why my diet could be contributing, why even though a product says it’s all natural doesn’t mean it’s necessarily safe for my skin, etc etc etc. After my consultation, treatment, and education on my new product regimen, I left her office with SUCH a weight lifted off my shoulders. She promised me clear skin (if i followed the rules!) and I believed her. I noticed a change within the first couple weeks and it didn’t take long before I was comfortable walking out of the house without makeup on – something I hadn’t done in YEARS. Yes, in addition to a new product regimen, there were lifestyle changes that had to be made but the adjustments were well worth it. It’s been about 10 months since I started my new skincare routine with Carly at Austin Skin+ and I’m 100% convinced this was the best self-care centered decision I have ever made! THANK-YOU CARLY, for investing your time in this endeavor & helping me leave all my acne worries behind! 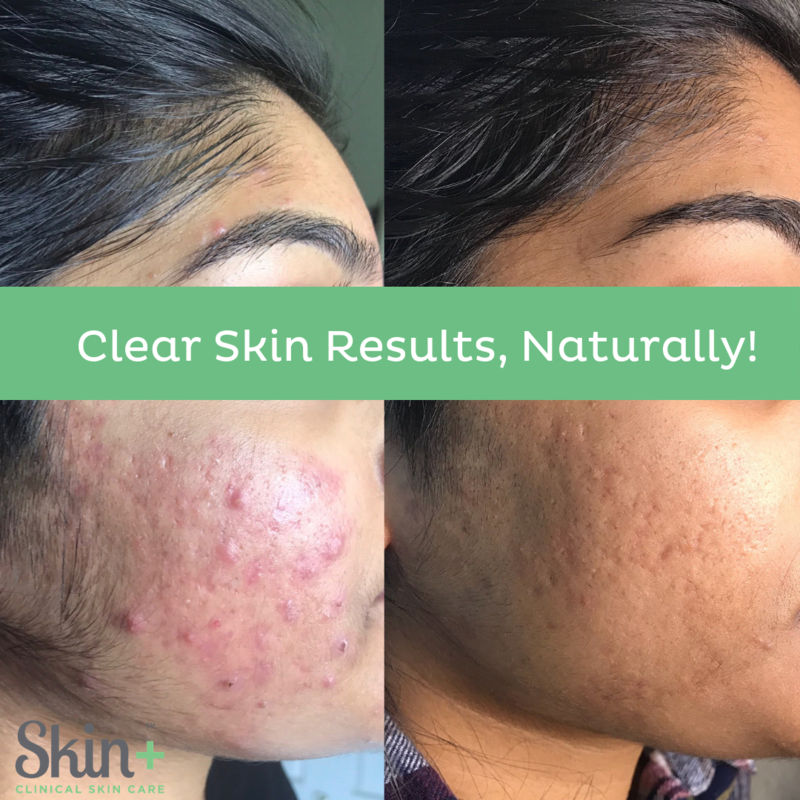 Austin Skin+ specializes in clearing stubborn acne and other skin issues for long-lasting results. From custom treatments through specially formulated products, we’re your partner in perfecting your skin care.